CuratorMartz, Fraidie, Miller, Frieda, Kremer, Roberta S.
DescriptionOpen Hearts, Closed Doors tells the story of the arrival in Canada of 1,123 Jewish children orphaned by the Holocaust. It chronicles the lives of these children as they emerged from the Holocaust into Displaced Persons (DP) camps and orphanages, and eventually to the ships that would lead them to new lives in Canada. It also tells the story of the efforts of Jewish organizations and international agencies that helped identify these children and bring them to Canada. The exhibition speaks to the efforts of Jewish social workers, members of the Jewish community and Jewish foster families who cared for them after their arrival. The project, which presents the documents, photographs and individual stories of the war orphans, attests to the power of communities to act and make a difference. 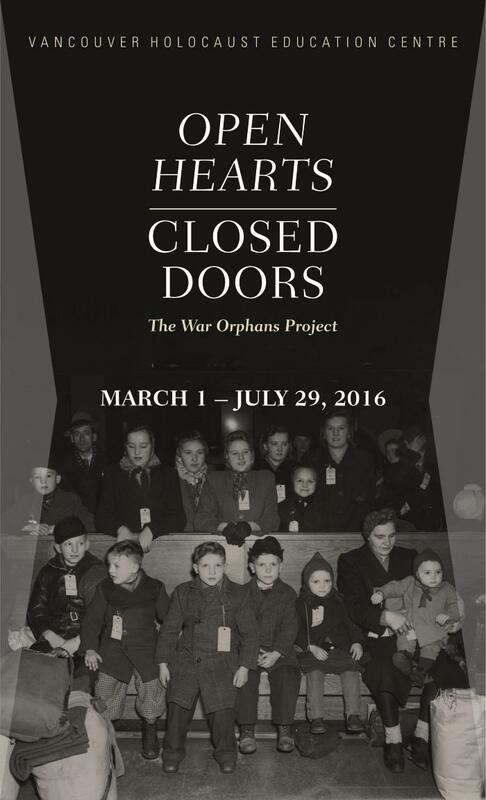 Originally developed by and presented at the VHEC in 1997, the Open Hearts, Closed Doors teaching exhibition is being re-presented to provide opportunities for visitors to engage with Canadian immigration policies from a historical perspective, using case studies of Holocaust survivors from the local community.